Ella and Maddy Lawton are identical twins. Ella has spent her high school years living in popular Maddy's shadows, but she has never been envious of Maddy. In fact, she's chosen the quiet, safe confines of her sketchbook over the constant battle for attention that has defined Maddy's world. 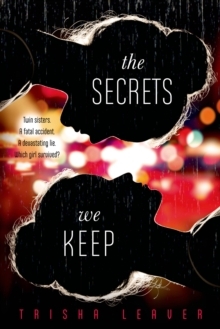 When - after a heated argument - Maddy and Ella get into a tragic accident that leaves her sister dead, Ella wakes up in the hospital surrounded by loved ones who believe she is Maddy. Feeling responsible for Maddy's death and everyone's grief, Ella makes a split-second decision to pretend to be Maddy. Soon, Ella realizes that Maddy's life was full of secrets. Caught in a web of lies, Ella is faced with two options-confess her deception or live her sister's life.